You are here: REDWOLF > Home > News >News Detail - Hot News!!! 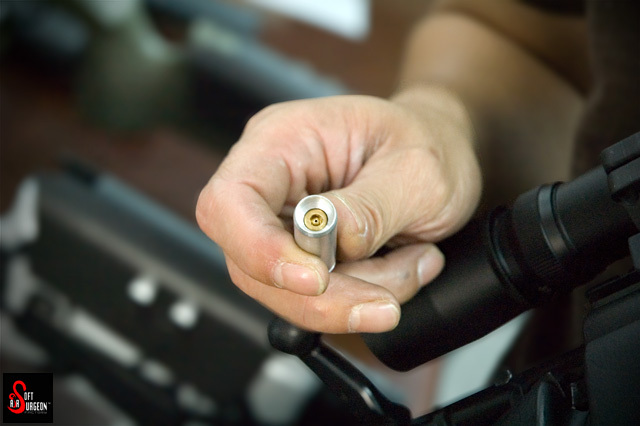 Airsoft Surgeon's NEW Gas Cartridge for Sniper Rifle system - coming soon! Hot News! 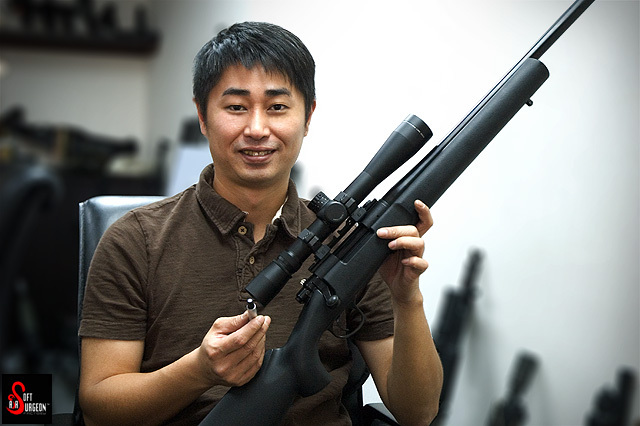 Clarence Lai is currently developing a Gas Cartridge for use with a Sniper Rifle system. The Sniper Rifle picture below is modified by Clarence, so that it functions with the up-and-coming Airsoft Surgeon Gas Cartridges. Each cartridge holds one BB and a gas charge, once fired, you pull the bolt handle back and the shell is ejected just like with the real thing - a detail which proves very pleasing when put to practice. The entire charge of gas devoted to powering one BB also spells huge potential for accuracy and range that cannot be delivered by tank-based gas charged systems. 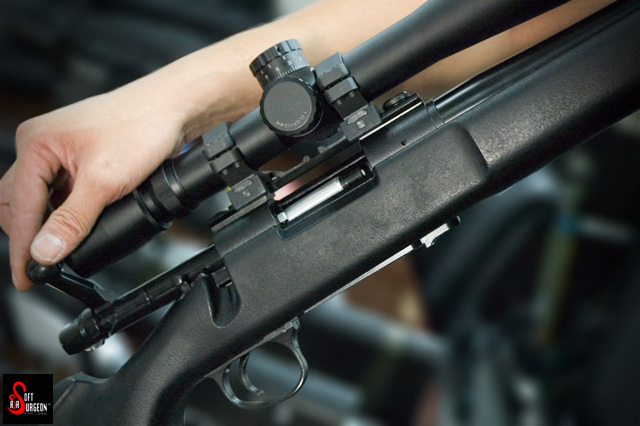 The Airsoft Surgeon system is planned for red gas and other higher pressure gases as well. The Gas Cartridge is still currently under development, although it is a functioning state, Clarence is putting the final touches to it. The release date has yet to be confirmed, so check back for more News, Pictures & Videos at Redwolf! 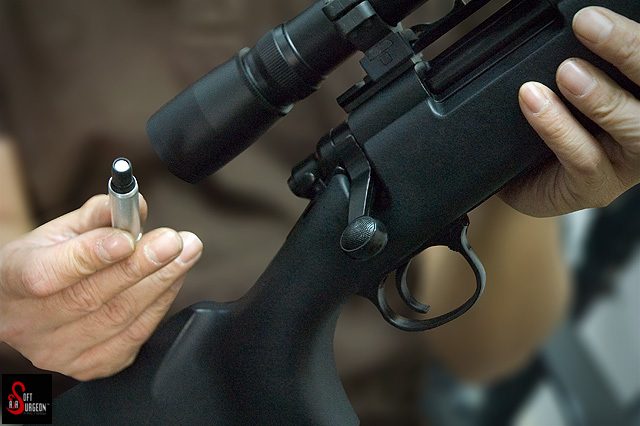 Airsoft Surgeon gas cartridge, used in a modified Sniper Rifle, is just like the real thing! The Airsoft Surgeon Gas Cartridge holds a gas charge within. This is what the Cartridge looks like when loaded with a BB. Clarence Lai with his Gas Cartridge - coming soon @ Redwolf!